ネガティブ　エネルギー　／　連日放射にファイトバック ! Thirty-five years ago, Dale Bridenbaugh resigned from his job at General Electric. It was in protest for what he saw as critical design flaw in the Mark 1 nuclear reactor design. 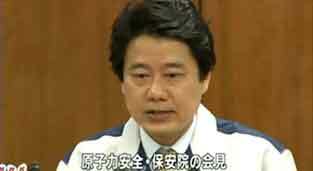 That's the same design used at Fukushima Daiichi power plant in Japan. Dale Bridenbaugh joins us now from San Jose, California. Dale, welcome and thanks for joining us. DALE BRIDENBAUGH, FORMER GE ENGINEER: Well, thank you. 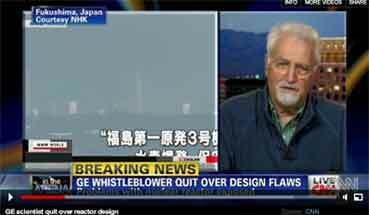 SPITZER: So first, what was it about that design that bothered you, that led you to resign? BRIDENBAUGH: Well, it bothered me and it bothered a lot of other people. In 1975, it became aware that the design of the Mark 1 containments had not taken into account all of the loads that they could experience during a design basis accident, a loss of coolant accident. So it was necessary to mount a crash program to reanalyze those loads and to see what modifications needed to be made and whether the plants were continued safe to run. I was at the time - there were 16 Mark 1 plants in operation in the United States and another eight under construction. I was asked to be the project manager of that reassessment. SPITZER: OK, now put this into English for us. We're not all nuclear design engineers the way you are. And so what was it that you really were worried about? What was the sort of event that was going to create a crisis that you were worried about, and have those events happened? And tell us - carry this through over the years. Has G.E. addressed this issue adequately from your perspective? BRIDENBAUGH: OK. Well, the event that was under consideration would be a large loss of coolant accident. What that means is a break of one of the large pipes in the reactor primary system, and the release, subsequent release of steam and fission products into the containment structure itself. It was - it had not been considered that this event would cause dynamic loads, say heavy vibrations in the reactor suppression pool that could cause the containment system to fail. SPITZER: OK. We'll keep bringing you back though to plain English. What you're worried about is this thing was going to lose its coolant. It's kind of like if your car engine loses its coolant, you know that engine block is just going to seize up and you're out of luck. So you're worried - the reactors are just going to overheat. And when a nuclear reactor overheats, bad, bad, bad things happen. Am I getting this right? BRIDENBAUGH: You're absolutely right. Now, it was perhaps even worse than that. The steam that would be released from a large break was supposed to be condensed and - by the water in the suppression pool, in the large Taurus structure. And the concern was that if the structure failed as a result of these unconsidered loads, you would lose containment, which they may have done at one of the Fukushima plants now. And you would also lose the source of cooling water for the reactor core. So the thing that was of potential trouble is you could have a core meltdown, an uncontrolled release of radioactive material. SPITZER: It sounds to me kind of like what you're describing is what's happening there in terms of the loss of coolant and the overheating the results. Am I being oversimplistic or is your fear kind of what's been happening here? BRIDENBAUGH: Well, it's kind of what's been happening. 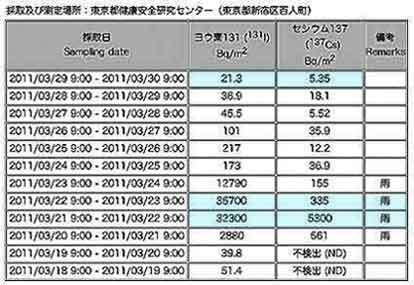 But the cause of the overheating is different at Fukushima than the one that we were considering at GE. 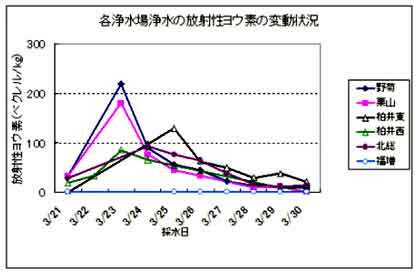 At Fukushima, the cause of the accident they are fighting right now is the combined earthquake and the tsunami which wiped out all of the backup power systems on site. And so they have not been able to cool the reactor core the way the system was designed. SPITZER: Let me ask you one other question, which may be something, it may not be something you looked at. We're seeing this potential fire, the fire which potentially is in the spent fuel rod pool, which is in essentially a less protected part of the reactor. Why was it designed that you didn't give these spent fuel rods as much protection as the reactor and they could sort of release stuff into the atmosphere if something went wrong? That seems like an odd design decision to make. BRIDENBAUGH: Well, on all five of the Mark 1 plants at Fukushima, the spent fuel pool is in the same place with respect to the reactor. It's up on the reactor refueling floor. It's there because it makes it very handy when they go into refueling. They don't have to move the fuel very far to get it out of the reactor or get it into the reactor. And, of course, ultimately it is - after it cools off in that pool for a while, it is moved out of the reactor building, and into another storage pool which is common to the five or six units at the plant. The spent fuel pool itself is actually in the reactor building, and under normal circumstances it has cooling, and there should not be any problem with it. SPITZER: But, of course, dealing with contingencies, if you lose that cooling and you still have the spent rods that have a fair bit of radioactivity and heat with them, that's when you can get the sort of reaction that you're worried about. So I guess I'm wondering - you know, I'm not an engineer obviously, but why you wouldn't put some greater protection over that pool to protect it from the outside environment and vice-versa, protect the outside environment from that pool. BRIDENBAUGH: Well, the structure is supposed to be designed to withstand the maximum credible earthquake. And the spent fuel is cooled by the water that's in this large pool. It's like a big swimming pool. You would - again, under normal circumstances, you would have a number of hours or days before you'd have to take any action. It's not clear to me why this fire has occurred on unit number four. It should not have. Unit four wasn't even in operation when the earthquake hit. But it was under maintenance, under a maintenance program, and so it's my understanding that all of the fuel had been offloaded from the reactor into the spent fuel pool. So it's basically holding pretty hot fuel that would not normally be the case. SPITZER: All right. Dale Bridenbaugh, thank you for joining us tonight, and thank you for all your hard work over the years.